FastStep will be providing free badminton coaching at the K2 family fun day on 26th April. The junior badminton coaching session will run from 12.30-1.30pm in the main hall. There are loads of other activities to try on the day, from bowls and climbing to trampolining and squash. 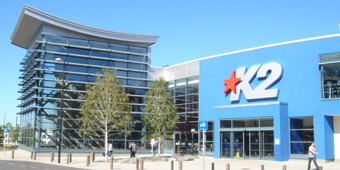 See full details of the K2 family fun day.